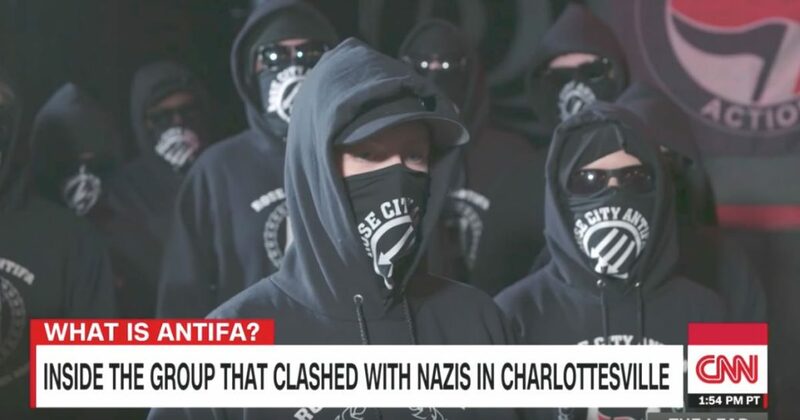 Antifa fascists in Berkeley, pretending to be anti-fascists, attacked a very peaceful Republican rally so violently that even Nancy Pelosi (D-CA) was forced to condemn them, though she did so sparingly and still excused their actions as somehow justified. Nazi fascists who pretend they are not fascists by accusing their political opponents of being racist fascists. The switch of the North and South from Democrat to Republican was not because racists became Republicans and righteous American who fought against slavery became Democrats. All states are a mixture of Republicans and Democrats. The reason the South became majority Republican and the North became majority Democrat is because of the Reagan economic recovery. Liberals are taught that Reagan caused a depression when he actually caused a great recovery from the depression era tax thievery of Democrats. The North had become completely corrupt under control of unions leaders who were governed by mobster bosses. They had made enough wealth through organized crime to become politicians, get elected to office, and coerce employees into voting for whom they wanted. They then passed laws establishing higher taxes to legalize stealing from the working man. Republicans became fed up with this and, when Reagan lifted the tax onus that had kept the South repressed for decades, businesses flocked into the southern states and Yankee Republicans followed them. The result was the North was left with Democrats in control while Republicans took charge in the South. The segregation laws all gradually disappeared and blacks were able to become athletes, employees, business owners, and CEOs. Now Democrats delude their ignorant constituents into believing the lie that Republicans are the new KKK. There are two forms of slavery; forced and voluntary. Criminals in America are forced into slavery to the state for their crimes. But those who choose to live off of government welfare rather than work for themselves and prosper are voluntarily becoming slaves to the state. They subsist off of taxes the government takes from those who work and, in exchange for food, housing, and drugs to keep them complacent, they vote for Democrats. But enough of them are wising up that they are abandoning their Democrazi masters, so the Dems are importing cheap labor from poor countries to replace them. These illegal aliens are illegal voters that Democrazis hope will re-establish themselves in power so they can tax the wealth away from Americans again. Their deception that they want to tax the rich and the lie of socialism is being exposed to the light of truth that no socialist ideology has ever lifted people up, but has repressed them. Socialism, Communism, Nazism, Fascism, Islamism all use the same totalitarian dictatorial tactics of lying about their political opponents and using violence to repress them. They scapegoat capitalists, Christians, Jews, and anyone who does not submit to their rule. That RINOs join with the corrupt Democrazi liars in Washington is why Donald Trump was elected to put down the corruption that has become rampant. This neo-Fascism of deceiving their dupes with false facts by rewriting history is only possible by raising children who are indoctrinated into their lies and kept ignorant of the truth. America has brought this debacle on itself by allowing liberals to become teachers in order to twist the minds of her youths. Democrazis use guilt tripping by making false accusations and establishing responses based on false premises. “If you’re not a racist then you would vote Democrat and give blacks and Mexicans your money for oppressing them.” This stupidity must be brought to an end and these lies exposed to the light. When the entire liberal media deliberately portrays everything President Trump proposes as “dark,” “divisive,” “uncaring,” and “unhinged,” they are not presenting the news or even the facts. They are employing propaganda techniques to smear their political enemies. This is Political Propaganda 101 that has been used by Communists, Nazis, and Democrats alike for over a century. They will always exist because they will always be funded by America’s enemies in the world, and they must either be put down or they will cause civil destruction. From Berkeley Antifa Democrazis, to black gangs and Mexican drug dealers in Chicago making the city’s streets a free fire zone, to what were prosperous countries like Venezuela, everything the Left touches turns to sh*t. Americans must take them out or they will take all of America down with them.